We understand the challenge property owners face on the Mississippi and Alabama Gulf Coast when it comes to Fire, Wind and Flood coverage. As an Independent Agency, we represent several A-Rated Insurance Carriers offering insurance policies that include WIND coverage in the policy; and in some cases, flood as well. And unlike some companies who only offer fixed coverage limits, you have the flexibility to choose your coverage limits, options and deductibles, providing you with best possible coverage, at the best available price. Whether you live in the your home or rent it to others, we have the insurance coverage options you need to guard against those unexpected, everyday risks. A homeowners policy is for people who occupy the home they own. This type of policy will cover the physical dwelling in which you live, other structures on the property not attached to the dwelling, your personal belongings while on or away from your property, as well as damage or injury you may cause to someone else. Standard homeowner policies cover a variety of losses such as fire, lightning, theft, vandalism, damage from vehicles, water damage from plumbing leaks, etc., as well as damage from storms and hurricanes as noted above. Certain disasters like earthquakes and flood may be excluded but you may add extra coverage or separate policies for those specific purposes. Dwelling fire policies provide similar coverage as a homeowner policy, but are designed for homes you own that are tenant occupied. They provide coverage for the dwelling, other structures and personal property you own on the property. These policies also provide coverage for lost of rent due to a covered loss. AND, if you have multiple properties, we offer the convenience (and cost savings) of putting all of your properties on one policy. You may be very surprised to see the range of prices you'll get between home insurance quotes; BUT, that doesn't mean the quotes are the same. Some Agencies will provide quotes with reduced coverage or increased deductibles just to get you in their door. 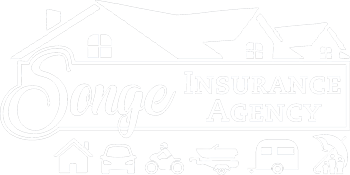 That's not how we operate at the Songe Insurance Agency; the rates we offer are based on realistic coverage options you actually need and meet the Underwriting Guidelines of the Carrier. With access to several Insurance Carriers, we can sometimes save you hundreds, even thousands of dollars per year simply by choosing the right Carrier. We prepare multiple quotes from the top Insurance Carriers giving you the power to compare the best policy options and choose a policy that is right for you!